Nutone ENERGY STAR® Ultra silent humidity sensing fan in white color, has current rating of 0.3-Amp. It has power rating of 33.5-Watts at 0.1-Inch static pressure and 33-Watts at 0.25-Inch static pressure. It offers airflow of 110 CFM at 0.1-Inch static pressure and 90 CFM at 0.25-Inch static pressure. The Sensaire® technology helps detecting the rapid rise in humidity over time. This humidity sensing fan has polymeric housing that measures 10-1/2-Inch x 11-3/8-Inch x 7-5/8-Inch. It has plug-in, permanently lubricated motor. 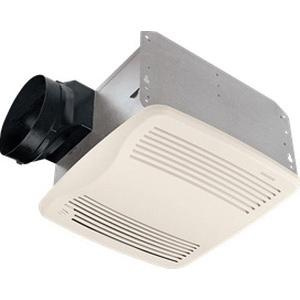 Humidity sensing fan has 6-Inch Dia horizontal duct for superior performance. It features polymeric grille that measures 12-7/8-Inch x 13-3/4-Inch. It fits in 2-Inch x 8-Inch construction space. It has auto shutoff time that is adjustable from 5 - 60 mins. Humidity sensing fan helps to prevent lingering and excessive humidity. It has hanger bars for easy, fast and universal installation. 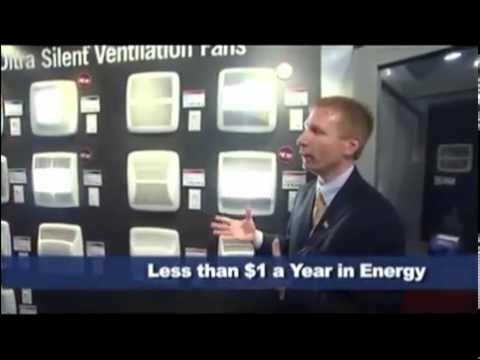 Ultra silent humidity sensing fan is UL listed and Energy Star certified.